A couple of weeks ago Cam and I began chatting about how she could freshen up her bridal line for an upcoming wedding show. 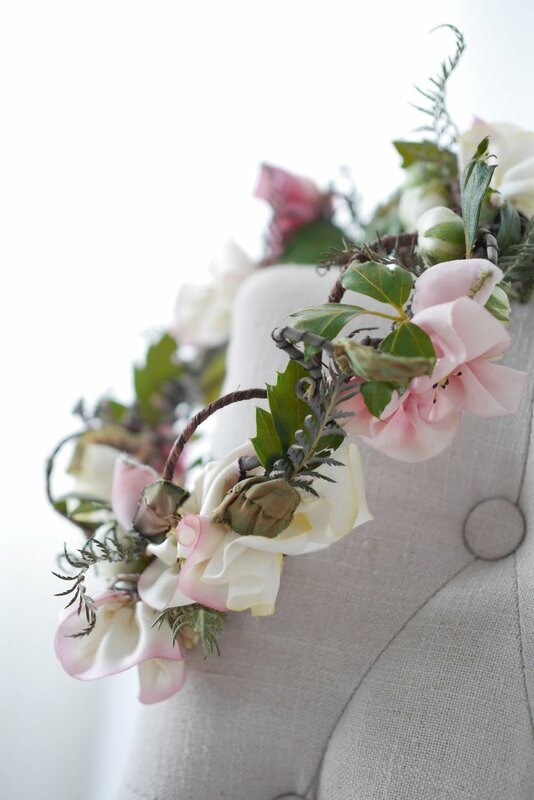 Her hand stitched flowers can be added to a hair comb, sash, flower crown, and even a bouquet. 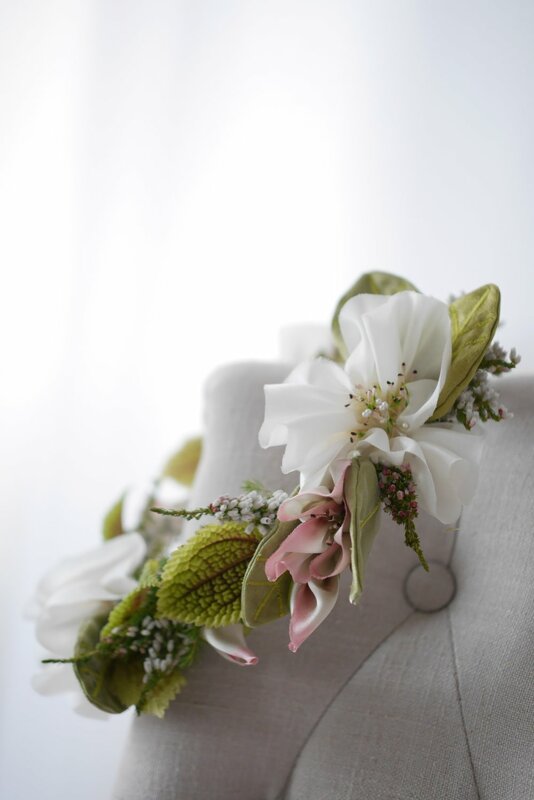 They do make for a lovely accessory, but we were curious to see how they would pair with fresh flowers as well- we thought my designs might give them a look that is a bit more current for today's brides. I found that including a few of her blooms made designing a cascading bouquet a breeze and I always love the look of a single large bloom worn in the hair. The Ribbonry's work is bespoke and the shop is open by appointment.